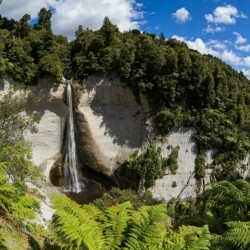 Mt Damper Falls stands 74 meters tall and is one of the highest waterfalls in the North Island. A short walk from the road entrance, a firm user-friendly track has been carved into the farmland to access the trail. 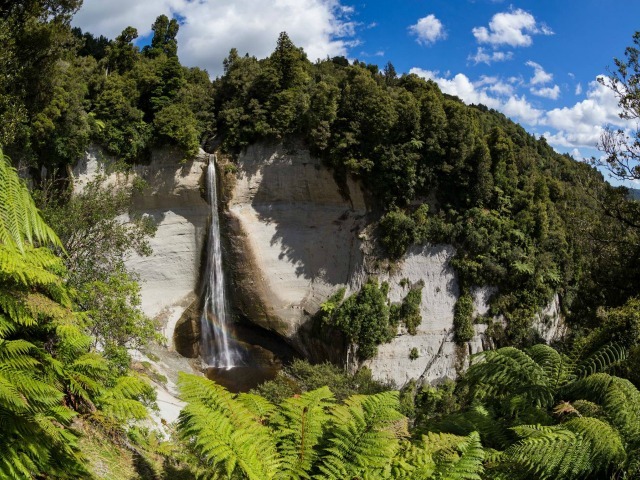 From the viewing platforms to will see stunning views of the falls and valley below. This trail is a great little excursion for all while on your Forgotten World Adventure.